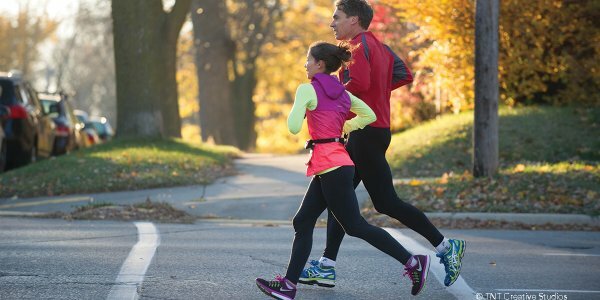 Madison has long been known as the place to be for active lifestyles, but it’s also known for embracing emerging ways to stay active. 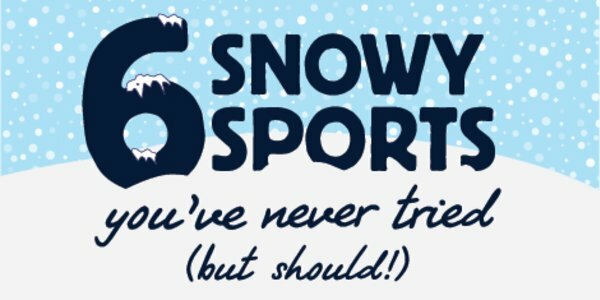 Below are a few awesome sports that you may not have heard of, but should definitely check out. Make it your guide for getting in on the action! 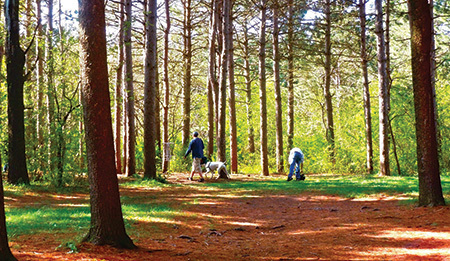 What it is: Disc golf is played much like traditional golf, but instead of a ball and clubs, players use a flying disc to complete their round. Similar to “ball golf,” the objective of the game is to complete each hole with the fewest strokes by landing your disc into an elevated metal basket. 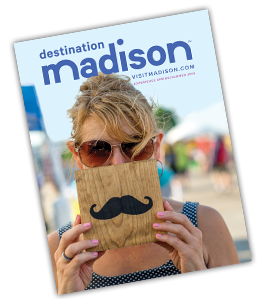 Where you can see it: Madison played host to the Professional Disc Golf Association Amateur World Championships from July 9-18, 2016 at various area disc golf courses. If you missed the Championships, you can still find local amateurs to watch on any given day at all of the area courses. Or better yet—get out there and experiences one of the courses for your own game. Why you should try it: If you like throwing around a Frisbee and have a passion for golf, disc golf is the sport for you. It also is a very inexpensive sport to take up. Course fees are minimal at most Madison area locations, and the discs are much less expensive than a bag of clubs. 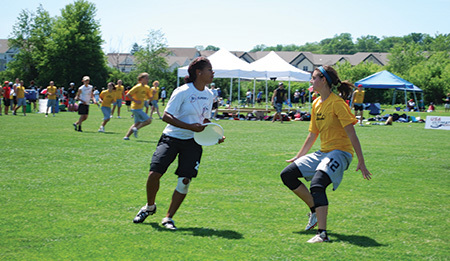 What it is: Originally known as Ultimate Frisbee (now known by insiders as “Ultimate”), the sport is a non-contact team sport played with a flying disc or Frisbee. Players advance the disc to a teammate, scoring points when reaching the opposing end zone. It mixes elements from soccer, basketball and football. Where you can see it: Ultimate has become a popular sport in the Madison area—so much so that a professional team was formed. The Madison Radicals play at the historic Breese Stevens Field, just blocks away from the Capitol. Why you should try it: Similar to disc golf, ultimate requires very little equipment. It is also an easy sport to pick up as it combines so many athletic skills learned from childhood that can be easily applied to the game. It provides a great team environment and you can easily find a pick-up game to join in on in the Madison area. 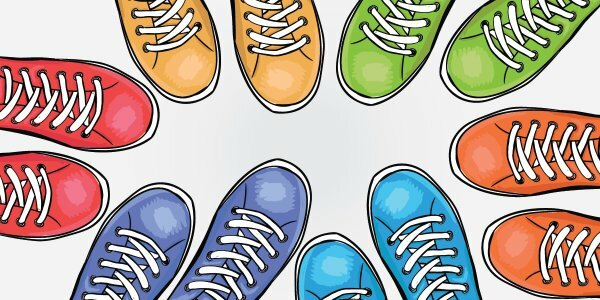 What it is: Flat track roller derby is a fast-paced contact team sport that involves players skating around a track in the same direction with the objective to lap members of the opposing team to score points. Check out the video of last year&apos;s International WFTDA Playoffs, hosted here in Madison. 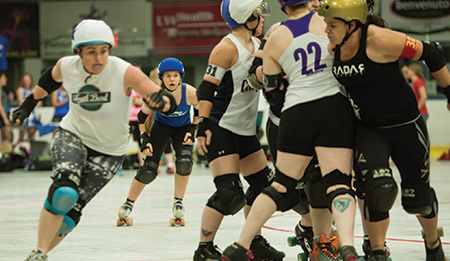 Where you can see it: Madison’s roller derby scene is all the rage, and Madison Roller Derby make it easy and fun to learn what a “bout” is all about. Stay tuned for their 2017 Schedule and see them play at the Alliant Energy Center. Why you should try it: Flat track is primarily played by women who aren’t afraid to get a few bruises! This fast-paced, physical game is an incredible way to get a good workout and it’s a very inclusive sport that is easy to catch on to at any age. Simply put, it&apos;s a fun sport to try (and watch!). What it is: Take a golf ball and replace it with a soccer ball, and you have foot golf. Players use their foot to kick the ball towards the 22” “cup,” with the goal of as few as shots as possible until you get it in the hole. 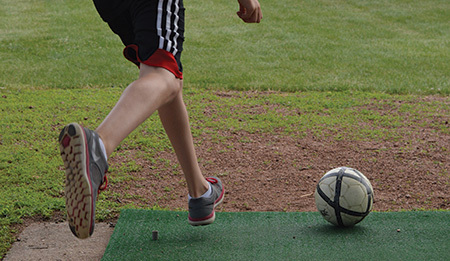 Where you can see it: Madison is home to a 9-hole Foot Golf course at Vitense Golfland. It’s available and open to the public daily for a small fee, and there are also leagues and tournaments for spectators and participants alike. Why you should try it: Foot Golf moves a lot faster than golf, so for those who don’t have the patience for golf, this is a perfect alternative. It’s also very accessible, especially in Madison, with a course that is easy to drop in and try your foot out on the front nice. What it is: SUP Polo takes Stand Up Paddle Board and combines it with water polo to get a fast-paced and entertaining game. Two teams of three competitors match up in a battle of skill, balance and strength, working together to score goals for their team. Special paddles are used to scoop, hold and pass the ball, while also allowing the player to move around inside the inflatable field. Where you can see it: SUP Polo can be seen along the shores of Lake Monona at Brittingham Boats. Games are played in two, 10-minute halves, making it an exciting, fast-paced game to watch. 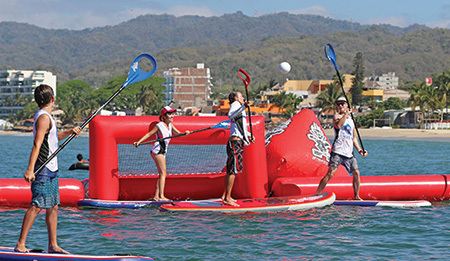 Why you should try it: If you already like SUP, you should try your skills out at SUP polo. 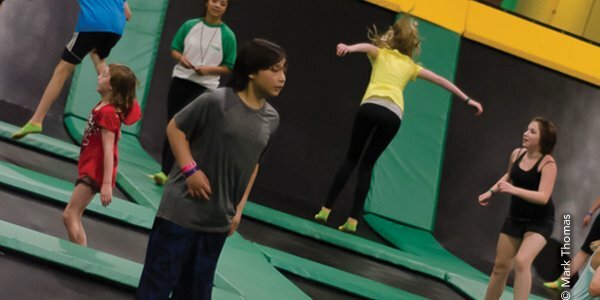 This emerging sport is not yet available to try everywhere, so Madison is the perfect place to check it out. 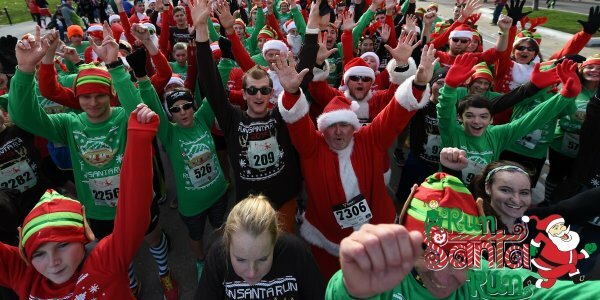 Here are some tidbits to keep you fit while in Madison!